I recently did a little check on Jibo to see how things were going with the launch of this "revolutionary" robot. I've been interested in Jibo since I first heard about it a few years ago, but then when Google and Amazon soon after came forward with a less-humanoid voice interface, I immediately knew that Jibo was in trouble. I've written before about Cynthia Breazeal's vision in regard to home robots; her desire to create "companions" since her childhood fascination with droids from Star Wars and her incredible, prescient, and visionary work with the robot, Kismet. Jibo's introduction to the world needed 2 things: the ability of the company to change people's expectations of what a home robot could be; and the ability to roll out something that was intuitive and useful for consumers. 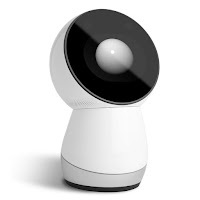 However, in a press release to backers from Jibo's CEO Steve Chambers, I realized that somehow, Breazeal's vision had become obfuscated by inattention to what consumers want and need, and what probably was a disconnect in the development team between the creative people and the engineers. "Discoverability: Users had trouble discovering what Jibo could do. This is partially due to the fact that we have an early stage product with limited skill functionality, and partially due to some changes we need to make from a user experience standpoint." "Error mitigation: When users had trouble discovering what to say, Jibo was not helping to mitigate those errors by guiding the user properly. Many times users didn’t know what to say or do and Jibo didn’t know how to help them break the cycle, creating confusion and frustration for the user." The fact that early adopters -- those being most aware of Jibo as an innovative device and thus more likely to be more patient in the "discovery" process -- were having difficult figuring out what Jibo could do was troubling. Jibo was purportedly designed around an evocative interface; one that would intuitively evoke or build and awareness of how Jibo could best be used simply through "getting to know" it. That is to say, out of the box, Jibo should have been able to lead users toward an understanding of what it could do and what it had to offer them. Also, the core feature of Jibo was its ability to naturally interact with people, yet it was impeded by its inability to not only understand users, but to guide them in how to best interact. Missing the mark on the foundational elements of creating an intuitive interface makes me believe that if Jibo ever does roll out, it will be to toy stores, or perhaps next to the massage chairs at Sharper Image-type stores. But these shortcomings led me to two possible conclusions: that Jibo's engineers and designers had an expectation that non-engineers and non-tech people would react to Jibo in a certain way; or that there was an expectations that users would intuit how Jibo should be used. The "error mitigation" issues makes me think that it was the former, because in the lab engineers and software people knew exactly what to say and do to get Jibo to be "useful." Technicians and engineers deal with new technologies in a vacuum, surrounded by people who think as they do, who see interaction between humans and machines as a general problem to be solved rather than as a relationship that must be forged from experience. And after reading Brazeal's work, I'm thinking that her vision of what robot interaction could be actually became too steeped in fantasies of human/robot companionship. C3PO was a person playing a role, as was Robbie the Robot, David from AI, Data from Star Trek, etc. Humans in the bodies of robots -- or at least speaking as robots. The general artificial intelligence that is being sought after here is nothing more than human companionship. In this way, Jibo was doomed to failure before it started, because the underlying goal was to make another human; not to make a new kind of robot. I have always maintained that the most successful technologies are the ones that become part of the landscape of the human lifeworld without announcing themselves as such. email, cell phones, appliances, etc., etc. They became woven into our lifeworld without us realizing they had. Google and Amazon were aware of this. They were able to see the best uses of the cell phone and spin those uses off into the home; relying on the known quantity of speech recognition and voice identification technology to create appliances that did just enough to make them useful, and allow people to forge their own relationships with them that weren't exactly the same as relationships to humans, but more than their relationships to their cell phones. Where Jibo is failing is in a lack of vision: they weren't trying to create a new relationship, they were trying to re-create a human one. Personally, I was incredibly disappointed. As a fan of Breazeal, I saw the potential with Jibo. Sure, the animatronics were a gimmick; but I hoped that the vision of the company went beyond Jibo, and saw the little companion as a stepping stone to a truly different technology -- something that forged a new type of human/robot interaction. Clearly, this is not the case. The shortcomings outlined in the CEO's letter reek of engineers thinking very well like engineers, with a lack of vision for how people not only would actually USE the technology, but how they might forge a different relationship with it. Jibo could have been so much. I can't be too hard on Brazeal or Jibo, Inc. My own fantasy scenarios that it was a company with a true vision as to creating a new kind of relationship between user and machine with Jibo as a stepping stone were just that: an optimistic fantasy. On the flip side, though, this reinforces my idea that being aware of the topologies of interface (how this artifact is woven into the spaces in which it will be used) are a key aspect in material design. Jibo was excruciatingly cute. It's movements and gestures were inviting in and of themselves. But I think the main concept-people in the company saw that design as making it more human, rather than making it more "machine." People are more apt to interact with Google Home or Amazon's Echo because they announce themselves as technology. Jibo's blurred line makes users think about how they should interact with it, rather than interacting with it. There's nothing wrong with creating a new interface, but I think the most successful artifacts (and companies that create them) will be the ones that are keenly aware that this IS a new interface, one that is different than what came before, but not human. Jibo was designed without an awareness of domain specificity. Used in the home, then its intelligence must be designed around it and all that occurs there. It's not a question of creating more human-like robots. It's an issue of creating robots with an eye toward the environments in which they will be used -- including the home. A home robot isn't a "companion," it is a facilitator. and Echo devices; and Amazon might have a slight edge in its development of related hardware like "Dot" and "Show." I also believe that both companies have an edge in collecting data on how those devices are being used, meaning that they are tracking the evolution of users awareness, skills, and intuitive tendencies and making software changes on-the-fly to keep up -- and eventually inform the next versions of their respective hardware flagships. These companies are successfully figuring out how AIs will be woven into the fabric -- and spaces -- of our daily lives. The advances in human-AI interactions will bring about a more natural interaction, but one that isn't quite exactly how we speak to other people. And that's okay. Our language will evolve with these systems of use. What will put each company (or any others that might arise) ahead is an awareness of how we function with these artifacts in space, topologically. Home and Echo don't use fancy animatronics. They don't coo and flash animated hearts or cartoon eyes: they function within a specific space in a certain way. And people are responding. Alas, poor Jibo. We never knew it, Dr. Breazeal. It hath born on its back the failures of discoverability and error mitigation, and now, how non-intuitive to the imagination it is. (Apologies to both Dr. Breazeal and Shakespeare).